Abstract: The Internet of Things (IoT) paradigm refers to the network of physical objects or "things" embedded with electronics, software, sensors, and connectivity to enable objects to exchange data with servers, centralized systems, and/or other connected devices based on a variety of communication infrastructures. IoT makes it possible to sense and control objects creating opportunities for more direct integration between the physical world and computer-based systems. IoT will usher automation in a large number of application domains, ranging from manufacturing and energy management (e.g. SmartGrid), to healthcare management and urban life (e.g. SmartCity). However, because of its fine-grained, continuous and pervasive data acquisition and control capabilities, IoT raises concerns about the security and privacy of data. Deploying existing data security solutions to IoT is not straightforward because of device heterogeneity, highly dynamic and possibly unprotected environments, and large scale. In this talk, after outlining key challenges in data security and privacy, we present initial approaches to techniques and services for securing IoT data, including efficient and scalable encryption protocols, software protection techniques for small devices, and fine-grained data packet loss analysis for sensor networks. 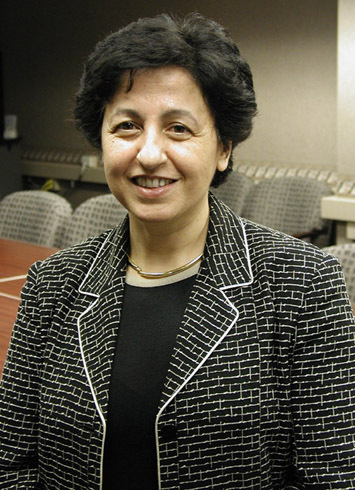 Bio: Elisa Bertino is professor of computer science at Purdue University, and serves as Director of Purdue Cyber Center and Research Director of the Center for Information and Research in Information Assurance and Security (CERIAS). She is also an adjunct professor of Computer Science & Info Tech at RMIT. 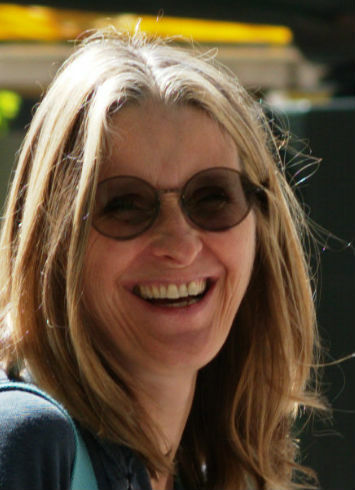 Prior to joining Purdue in 2004, she was a professor and department head at the Department of Computer Science and Communication of the University of Milan. She has been a visiting researcher at the IBM Research Laboratory (now Almaden) in San Jose, at the Microelectronics and Computer Technology Corporation, at Rutgers University, at Telcordia Technologies. Her recent research focuses on data security and privacy, digital identity management, policy systems, and security for drones and embedded systems. She is a Fellow of ACM and of IEEE. She received the IEEE Computer Society 2002 Technical Achievement Award, the IEEE Computer Society 2005 Kanai Award and the 2014 ACM SIGSAC outstanding contributions award. She is currently serving as EiC of IEEE Transactions on Dependable and Secure Computing. Abstract: The Internet of Things (IoT) is a promising concept toward pervasive computing and one of the major paradigm shifts that the computing era is facing today. In the IoT, everyday objects, the “Things”, get networked so that they can cooperate autonomously, and allow humans to interact with the physical world as simply as they do with the virtual world. However, the IoT paradigm raises tremendous challenges from the networking up to the application layers, in particular due to extreme heterogeneity, scale and dynamics that it introduces. In this talk, I will explore how service-oriented architecture may be revisited to address challenges posed by the IoT for the development of distributed applications. Drawing from our past and ongoing work within the MIMOVE team at Inria Paris, I will in particular discuss the evolution of the supporting middleware solutions spanning the introduction of: probabilistic protocols to face scale, cross-paradigm interaction to face heterogeneity, and streaming-based interactions to support the inherent sensing functionality brought in by the IoT. I will further illustrate the proposed solutions in the context of citizen-centric urban systems oriented toward smarter cities, which leverage the many Things deployed in the environment, both fixed and mobile as carried by people. Bio: Dr. Valérie Issarny holds a “Directrice de recherche” position at Inria, the French institute for research in Information and Communication Science and Technologies, where she led the ARLES research team until 2013, investigating distributed software systems leveraging wirelessly networked devices, with a special emphasis on service-oriented computing. Valérie in particular studies middleware solutions easing the development of distributed collaborative services, including mobile services deployed over smartphones and interacting with sensors and actuators. Since summer 2013, Valérie is the scientific coordinator of the Inria@SiliconValley program promoting and fostering collaboration between Inria and California universities. She is also coordinating the Inria CityLab program dedicated to smart cities and promoting citizen engagement; the program is developed in collaboration with CITRIS at University of California Berkeley and targets urban-scale experiment in Paris and California cities. Ongoing projects include Urban Civics on urban pollution monitoring through participatory sensing and crowd sourcing, and Appcivist on a middleware platform for democratic assembly and collective actions. Abstract: Shared ledger technologies, as exemplified by Blockchain, provide a new framework for supporting business collaborations, that is based on having a shared, trusted, nonrepudiable data repository that includes programmable logic in the form of ``smart contracts''. The framework has the potential to dramatically transform business collaboration across numerous industry sectors, including finance, supply chain, food production, pharmaceuticals, and healthcare. Widespread adoption of this technology will be accelerated by the development of business-level languages for specifying smart contracts. This paper proposes that data-aware business processes, and in particular the Business Artifact paradigm, can provide a robust basis for shared ledger business collaboration languages. The fundamental rationale for adopting data-aware processes is that shared ledgers focus on both data and process in equal measure. The paper examines potential advantages of the artifact-based approach from two perspectives: conceptual modeling, and opportunities for formal reasoning (verification) of smart contract properties. Broad research challenges for the development, understanding, and usage of business-level languages for shared ledgers are highlighted. This talk is joint work with Vishal Batra, Yi-Min Chee, and Terry Heath (from IBM Research) and with Alin Deutsch and Victor Vianu (from UCSD). 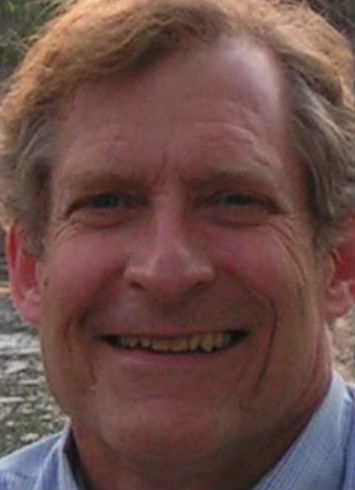 Bio: Rick Hull is a Senior Research Scientist at the IBM T.J. Watson Research Center in Yorktown Heights, NY, a position he took in May, 2008. Hull has broad research and innovation interests in the areas of data and information management, workflow and business processes, web and converged services, and more recently, the application of BPM paradigms to Big Data analytics to enable large-scale repeatability, and the automation of highly manual business processes. Between 2008 and 2013 Hull led a team at IBM Research working on Business Artifacts and data-centric business process management. This work provided foundations for both the recent OMG Case Management Model and Notation (CMMN) standard and the IBM Case Management product. Prior to joining IBM Research, Hull spent 12 years at Bell Labs Research, a division of Lucent (then Alcatel-Lucent, and now Nokia); before that he was a professor of Computer Science at the University of Southern California. While at Bell Labs, Hull was instrumental in developing and transferring new technologies into Alcatel-Lucent's product line, including products for data integration and high-speed rules processing. Over the years, Hull's research has been supported in part by grants from NSF, DARPA, and AT&T. Hull is co-author of the book "Foundations of Databases" (Addison-Wesley, 1996); has published over 150 refereed articles in journals, conferences and books; and holds 12 U.S. patents. Hull was named Bell Labs Fellow in 2005 and ACM Fellow in 2007. He received a Corporate Award from IBM in 2015 for his contributions in the area of Case Management, and also an “Outstanding Accomplishment” from IBM Research for “Fundamental Contributions to Science or Technology” in the area of data-aware processes.